Trail mix is a non-perishable, convenient snack that is energy-dense—meaning a lot of calories are packed into a small amount of food. It's meant to provide nourishment during strenuous activity, such as hiking (hence the name). Low-carb trail mix is a great snack to have before or after a workout or a lot of activity, or simply as an emergency snack in your purse—but bear in mind that most pre-packaged trail mixes don't qualify as low-carb. They typically contain a substantial load of sugar, which provides “quick energy” in the form of candies, chocolate chips, and/or dried fruit—but you'll want to avoid most of this on a low-carb diet. Here’s how to make your own trail mix, create the mix of sweet and savory flavors you want, and keep the carbs down. 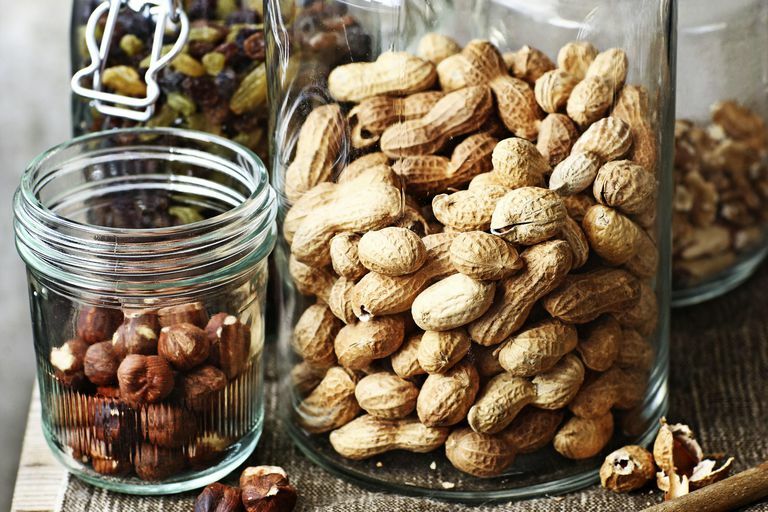 Trail mixes tend to have a lot of nuts and seeds, which are excellent foods on a low-carb diet. They are high in heart-healthy fats, low in carbs, and many are high in protein. Walnuts, Brazil nuts, almonds, hazelnuts, peanuts, pecans, pumpkin seeds, and sunflower seeds are great additions to your trail mix, and they are among the lowest in carbs among the nuts and seeds; cashews and pistachios, for example, have slightly more carbohydrates per ounce. However, all nuts and seeds can be considered low-carb foods. You may also want to incorporate salted nuts rather than unsalted which will add more flavor and use these next tips to add a hint of sweetness to your mix. Those who are engaged in heavy physical activity can usually get away with at least a little more carbohydrate than those who don't exercise. Another reason for the sweet stuff is flavor, of course. Trail mix wouldn’t really be trail mix without a bit of sweetness in there; it would just be a nut and seed mix. However, dried fruit is often very high in sugar and usually not included on a low-carb diet. Here's the correct way to add dried fruit to low-carb trail mix. Watch for added sugars. Dried fruit often has added sugar; if the fruit didn’t have much sugar to begin with, you can bet some will be added during processing. Thus, berries such as blueberries and cranberries which are usually great fruit choices when eating low-carb almost always have a lot of sugar added when dried and sold commercially. Read ingredient labels before you buy and skip any brands that add sugar. Look for unsweetened varieties or ones sweetened with fruit juice. Eden Organics makes affordable dried blueberries and cranberries sweetened with apple juice, for example. Unsweetened coconut flakes make a tasty, crunchy addition to trail mix and they are very low-carb. Other sugar-free dried fruit is possible to find at special health food markets but is usually more expensive. One source is the Karen's Naturals company which freeze-dries vegetables and fruits with nothing added. Some healthy food stores carry their own products, such as Trader Joe's dried mango, strawberries, and pineapple. Note that just reading the nutrition facts on some freeze-dried products can be deceiving because the nutritional information is by weight and they are very light since all the water has been removed (unlike the more common dried fruits). For example, a 1.5 oz tub of freeze-dried cranberries is about 3 cups by volume. Use smaller amounts. Raisins have 125 grams of effective carbohydrate per cup, however, because they are intense in sweetness and flavor, all you need is a couple of raisins per handful of nuts and seeds for a sweet contrast. Even better than raisins are currants because they are smaller and thus they pack fewer carbs. Make your own. It is possible to make your own dried fruit plain or with added sugar substitute in a dehydrator or oven. Do half-and-half. When grocery shopping or shopping online, look for pre-packaged trail mix and choose the one with the least carbs and the lowest amount of sugar. Then, “dilute” it by mixing a cup of that mix with several cups of your own nuts, seeds, and unsweetened coconut. This is just one possibility, of course. Nutritional Information: This should make about 16 servings of ¼ cup each. Each serving will have 6.5 grams of effective carbohydrate and 3.5 grams of fiber. If you make the same mix without the raisins, assuming 14 servings, each will have 4 grams of effective carbohydrate and 3 grams of fiber.